In the same frame of cooperation between the Golden Tulip Bahrain Hotel and the Tourism Sector for promoting tourism in Bahrain, and in line with reinforcing the relations with all communities from all around the world, the Golden Tulip Bahrain Hotel received and hosted the above delegation/students for more than a week. 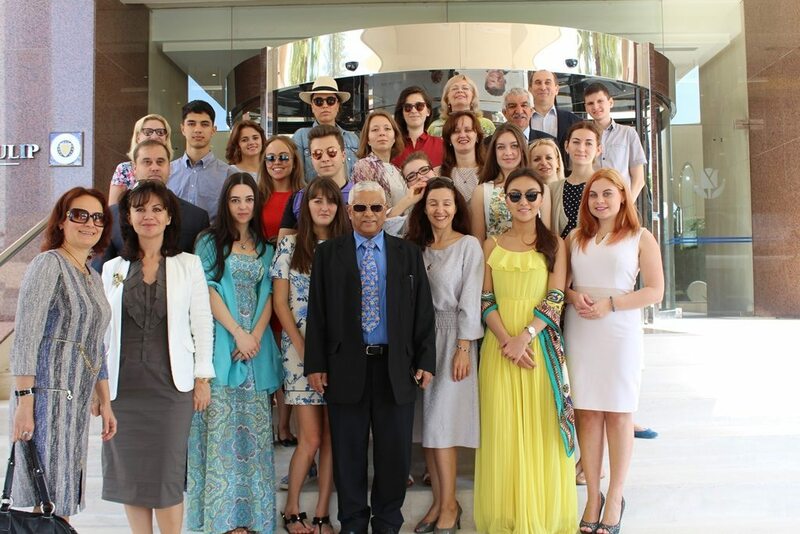 The group members, consisting of 29 persons have enjoyed the hotel facilities and services. Their educational programme has included sightseeing to discover Bahrain for the first full day organized by the hotel with one representative, and included also the many visits to government organizations like the Ministry of Energy, the Ministry of Transport and Telecommunications, University of Bahrain, GPIC, Bapco, the Financial Harbour, BIC…and on the last day of their trip, they have enjoyed Al Dar Islands as well. The above activities have left good and positive impression into all members, as declared by Mr. Abdul Rahim Al Sayed, the General Manager of the Golden Tulip Bahrain Hotel.